NEW YORK (AP) — NFL and Pepsi said Monday they have had several conversations with artists about performing at the Super Bowl, but said they haven't formally asked Adele or any other musicians to appear. 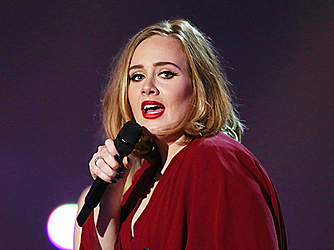 At a concert in Los Angeles on Saturday, Adele said that she turned down performing at the big game. In a statement, NFL and Pepsi said "we have not at this point extended a formal offer to Adele or anyone else." Adele said Saturday that "they did ask me (to perform), but I did say no." NFL and Pepsi didn't respond to an email asking if Adele was one of the artists they approached about possibly performing at the Feb. 5, 2017 event in Houston. A representative for Adele had no comment Monday.